File photo of Arnett gardens coach Jerome Waite advising one of his players. 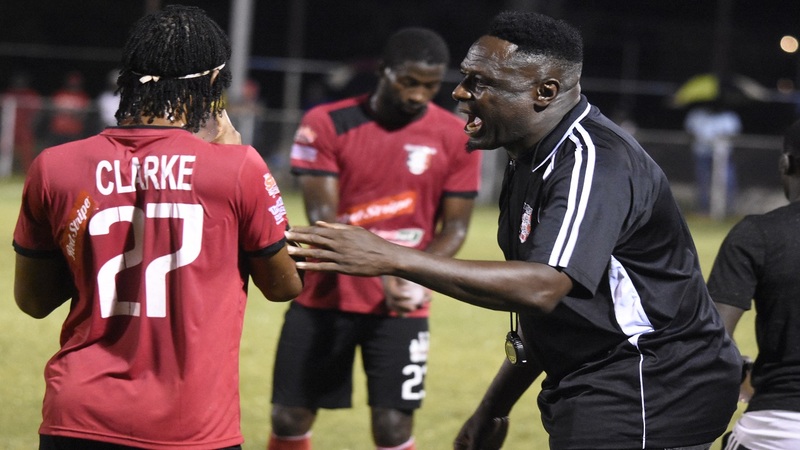 Arnett Gardens assistant coach Eugene Williams is elated that they were able to distant themselves from a chasing pack of playoff hopefuls in the Red Stripe Premier League. This after Arnett secured a 3-0 victory over Tivoli Gardens at Edward Seaga Sports Complex on Sunday night. Three goals in the first half sealed the victory for Arnett to push them to 40 points and one place up the points standing in fifth position as they passed UWI, who are on 38 points. Arnett are also now five points ahead of seventh place Tivoli. Arnett bossed around Tivoli for most of the match, especially in the first half when they attacked constantly and created numerous opportunities. It led to them hitting the back of the net three times in the first stanza, stunning the home crowd into silence. Williams was pleased with the performance. He said, “Tivoli is one of those teams that were close behind us, so we needed that little breathing space. So 3-0, three goals by three forwards and a clean sheet, it is well deserved. “It is the first time we are winning back-to-back games since the first round," added Williams while praising what he said was a team effort. "We played compact and played for each other,” Williams said. Meanwhile, it was a tough RSPL baptism for Philip Williams, who replaced Omar Edwards as head coach during the week leading up to the match. He said, “we started the game a little flat and were not able to pick up the runners from the middle for Arnett... it cost us, especially on the left-hand side where we had persons shepherding and ushering persons to the box and that cost us two goals. “I think we came into our own in the second half and gave a good account of ourselves but it is unfortunate the way we started the game,” the Tivoli coach said. Arnett took Tivoli out of the game from the first half, with goals from Lennox Russell in the 24th minute, Fabian Reid five minutes later and Michealos Martin on the stroke of halftime. The Jerome Waite-coached Arnett had signalled their intent a few minutes into the match when Lamard Neil broke free at the back post and created concerns for Tivoli goalkeeper Davion Watkins with a header that scraped the crossbar. Russell would give Arnett the lead from an innocuous shot from about 30 yards out, that found goalkeeper Watkins out of position and unable to prevent the ball from lodging into the back of the net. Reid increased the lead minutes later, as he was at the end of a surgery performed on the Tivoli defence by Arnett - he fired from the top of the box to the right of goalkeeper Watkins. The third goal came from another magical passing moment by Arnett, as they threaded the Tivoli defence with slick one-touch football, before Neil fired at goalkeeper Watkins from the edge and centre of the penalty area. The custodian blocked the ball into the path of Martin who fired into the netting from six yards out. 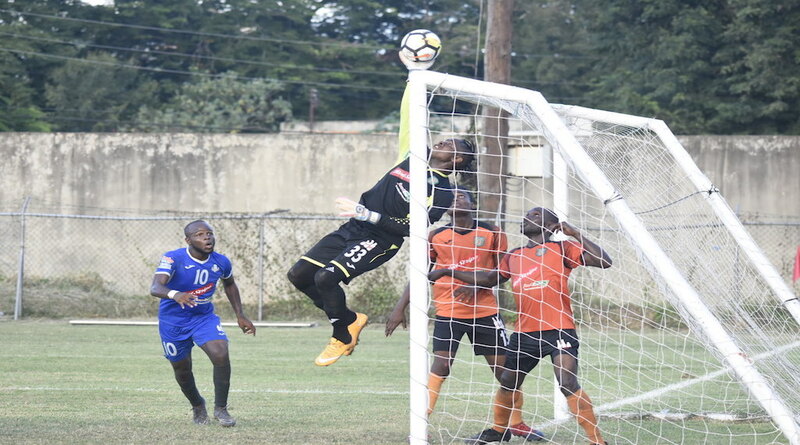 With a three-goal cushion, Arnett allowed Tivoli space to maneuver and west Kingston side got their best chance of the match midway the second half. Andre Moulton beat goalkeeper Damion Hyatt with a header, after he was picked out on the left of the area from a right-side cross, but with the ball gently bouncing into the goal, Jabeur Johnson rushed back to clear it off the line. In the meantime, Portmore increased their lead at the top of the standing as they edged Cavalier 1-0 at Spanish Town Prison Oval, with a 13th minute goal from Javon East. With the win, the defending champions moved to 50 points, five clear of second place Waterhouse, who will play Humble Lion in the live television match Monday night at 8:35 pm. Cavalier, also on 45 points, remained third but had the distance between themselves closed, with Mount Pleasant Football Academy edging Dunbeholden 2-1 at Drax Hall through goals from Evon Taylor in the 11th minute and Daniel Green in the 16th. Norado Brown got Dunbeholden’s goal in the 22nd. Mount Pleasant are now on 41 points in fourth, while Dunbeholden stayed close to the relegation section, on 24 points. 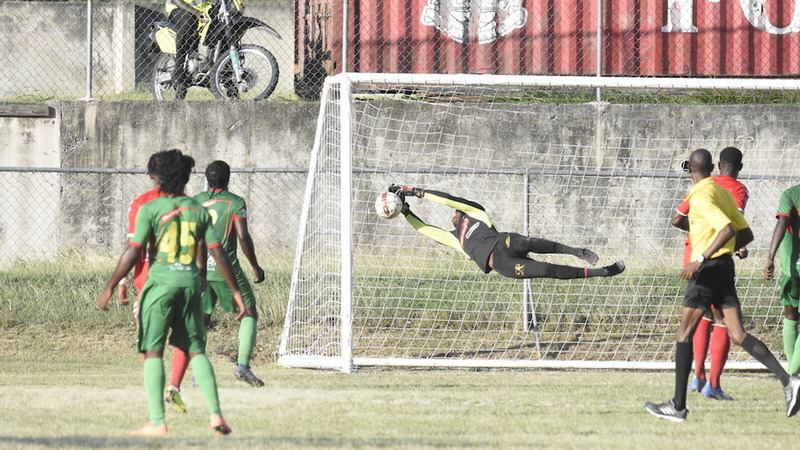 UWI dropped two places to sixth on 38 points after battling to a 2-2 draw at Mona Bowl with Reno, who remained in the relegation zone with 23 points. Courtney Allen gave UWI a 12th minute lead, which was cancelled by Romone Plummer of Reno in the 26th. Javer Brown handed Reno the lead in the 35th, but Ryan Miller gave UWI an equaliser in the 43rd. At Montego Bay Sports Complex, Montego Bay and Harbour View played to a 3-3 draw. 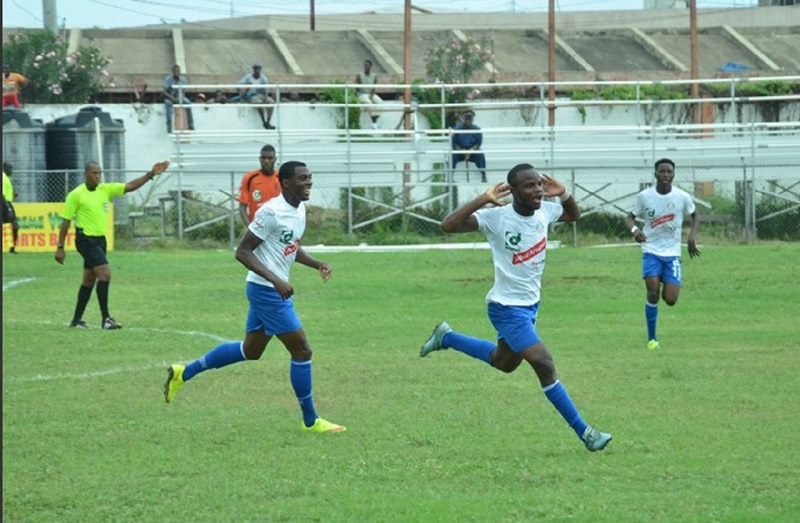 Dino Williams in the 25th, Deshane Beckford in the 81st and Donovan Carey one minute into second-half added time, were the goal scorers for host Montego Bay, while Nicholas Beckett in the eighth, Tevin Scott in the 63rd and Mark Alves in the 67th got Harbour View’s goal.